This post takes a look ahead at jQuery 2.0 and why your code could potentially “break” when deprecated/removed jQuery functions produce “function not defined” (or such) errors. This official post states that jQuery 2.0 will remove support for IE 6/7/8 oddities such as borked event model, IE7 â€œattropertiesâ€�, HTML5 shims, etc. It also suggests that If you need IE 6/7/8 support, choose 1.9; otherwise you can use 2.0. As jQuery plugins start to break I think we are also going to see a lot of people Migrating Earilier Versions of jQuery to jQuery 1.9. There are reasons for and against supporting older versions of Internet Explorer. From my experience working for various companies as a contractor. IE6 is dead and no longer supported (0.3%). IE7 is close to being dead (1.0%). Most government departments now are running builds with IE8+ but the process of system image upgrades is slow at best so websites need to support IE7 still but are slowly saying "no support for IE7" as stats drop. IE8/IE9 is still supported (6.4%,5.9%). 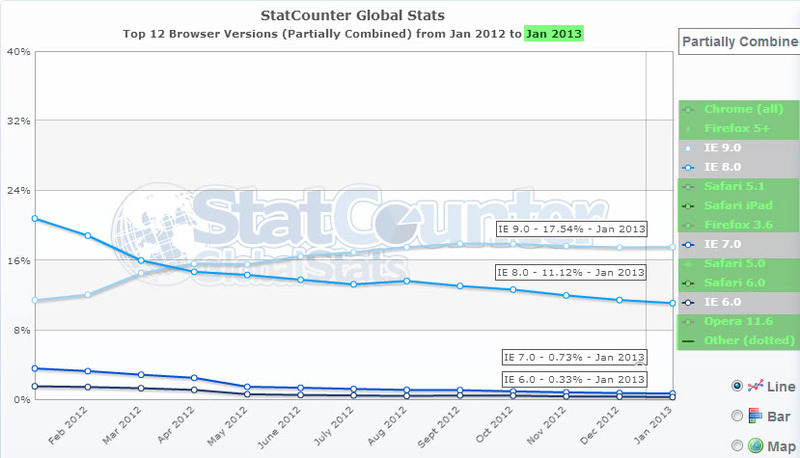 IE10 (0.8%) surprisingly has less usage than IE7. 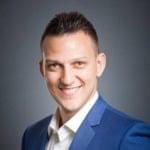 So, has removing support for IE made jQuery faster? Filesize drops from 91kb to 81kb minified versions.